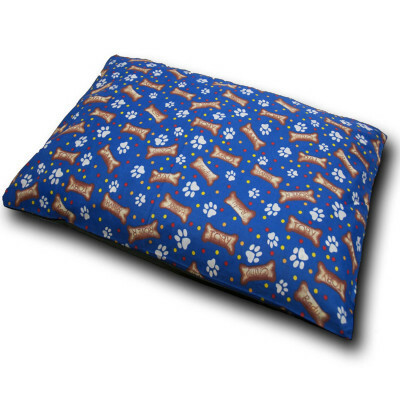 Pamper your pet and at the same time enhance your home decor with our luxurious and stylish Paws & Bones Blue Dog Bed. Its alluring paws and bones prints on vibrant blue colour is attention-grabbing. You dear furry friend will surely enjoy its fluffiness, while cuddling and sleeping. Filled with 100% hollow fibre and cased in polycotton material, this bed set is extremely durable, long lasting and versatile. 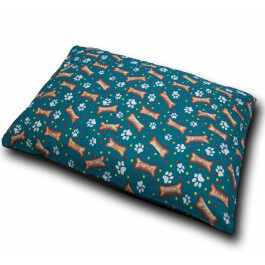 This wonderful addition comes in large and extra-large size to grant your pet an additional comfort.